This entry was posted on 2015/07/10 by Robin. 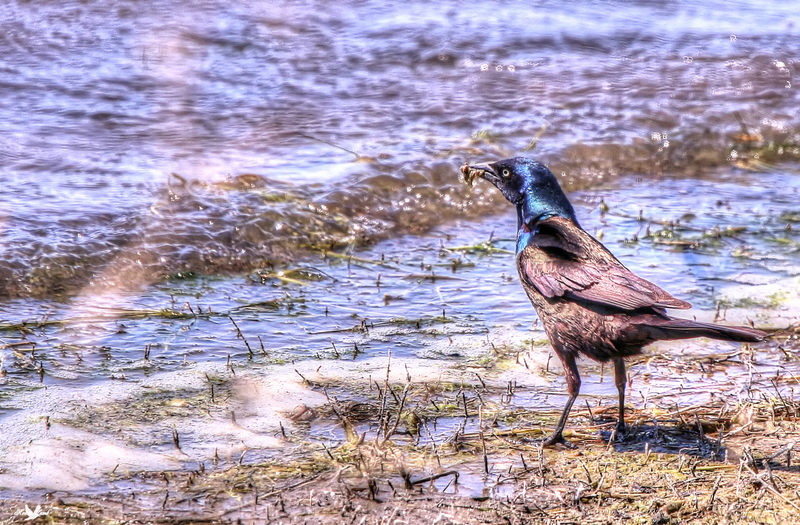 It was filed under Birds and was tagged with Common Grackle, Grackle, Herbert, Saskatchewan, Waves, Worms. His iridescent colors echo the colors in the water. Pat, thanks! It’s colours are so sharp!